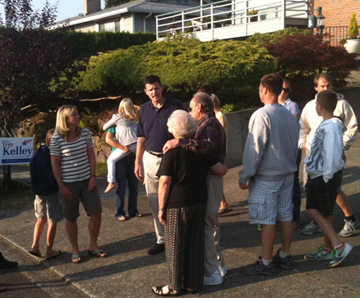 Get Troy Kelley Campaign Updates! Troy takes some time off the campaign trail to enjoy a local park. Troy holds another successful community conversation. He has had held these in cities and towns across the state, and heard many good ideas on how to hold government more accountable to the citizens. 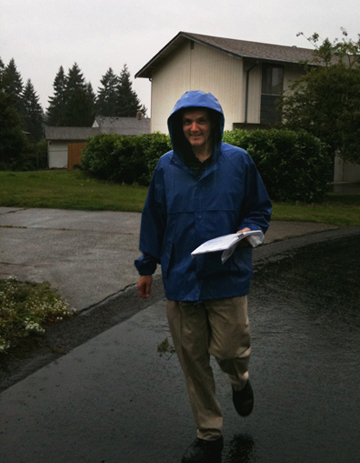 Troy going door to door in classic western Washington weather.